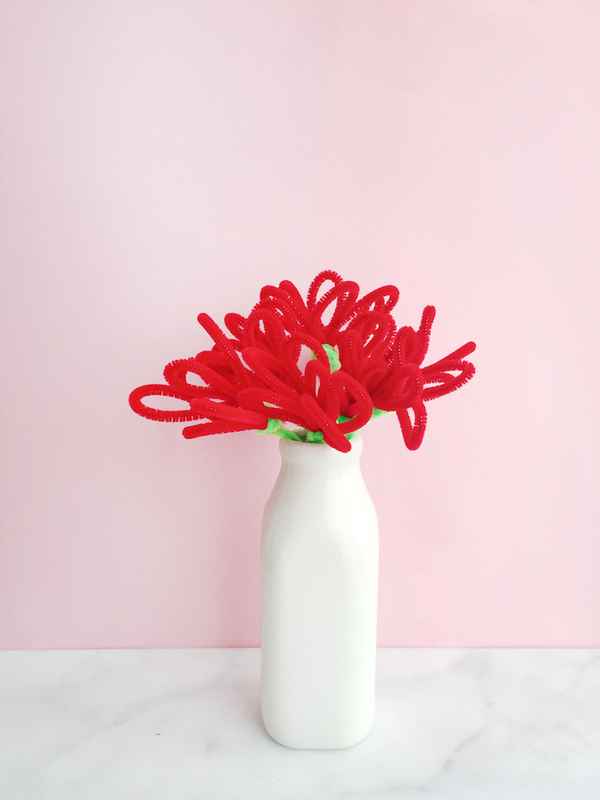 $1 Pipe Cleaner Craft: Warm & Fuzzy Flowers For Galentine's Day! / Hey, EEP! 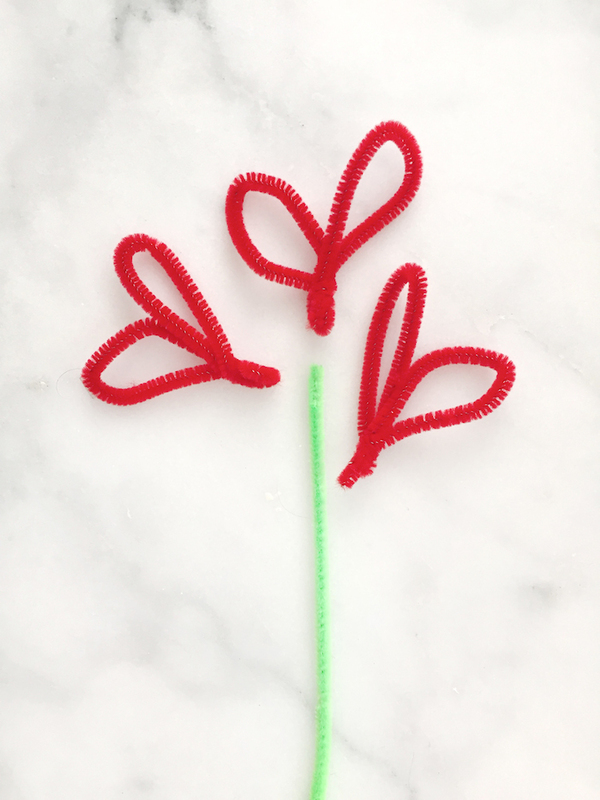 $1 Pipe Cleaner Craft: Warm & Fuzzy Flowers For Galentine's Day! This one item, two step DIY project is the stuff dreams are made of. Great for kids or grown-ups! With just one dollar and three minutes of your time, you'll have a homemade gift for whomever gives you those fuzzy friend feelings. 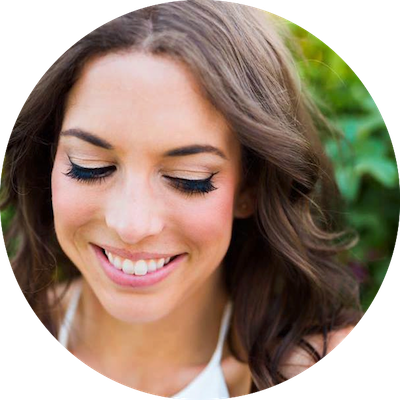 My bestie lives in London now—remember her epic send-off party! 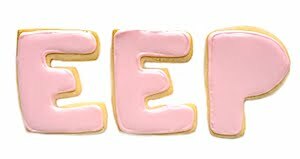 ?—which makes me hate Galentine's Day a smidge. That's right, I said it! I prefer Valentine's Day. I have a Valentine. Galentine's Day makes me sad because I miss my gal! But this year I'm really going to make an effect to get back into the Galentine's Day groove! I may not go as far so throwing another Cheesy Love Song party but maybe some cocktails and a rom-com...who whats to come over!? Okay, back to the project! 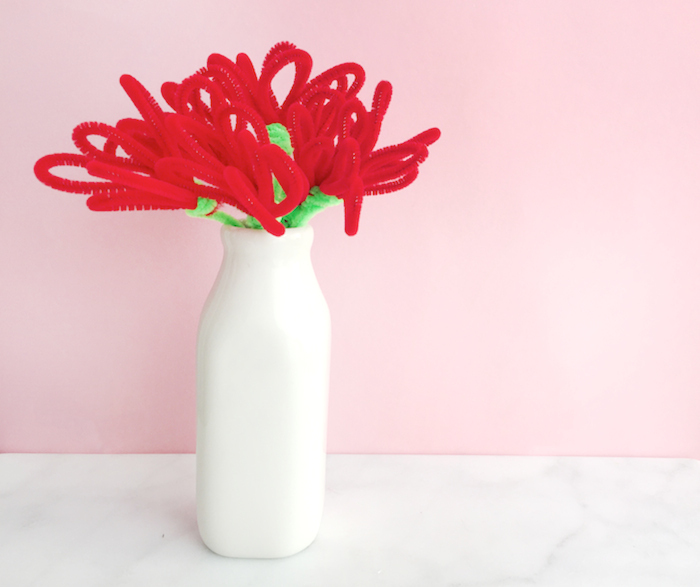 I went with cherry-red pipe cleaners but you can use your bestie's favorite color, whatever that may be. Yellow would be so bright and cheery! Maybe pink? Not purple, though. Can we agree that purple's the grossest color ever? 1. 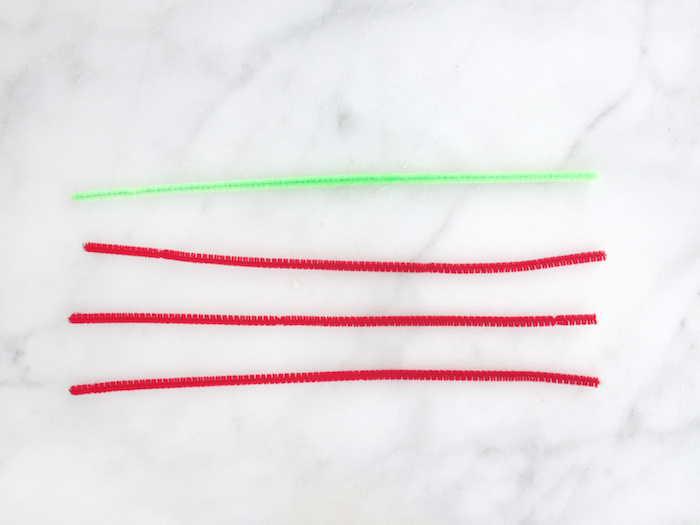 Bend red pipe cleaners into hearts, bringing the ends to the centers, and twist to secure. 2. 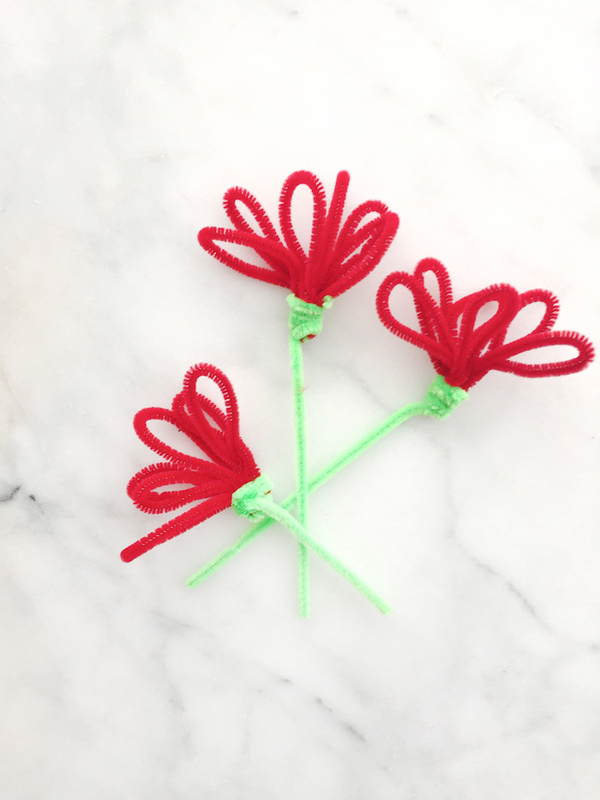 For each flower, group three red hearts together and wrap one green pipe cleaner around the bases. 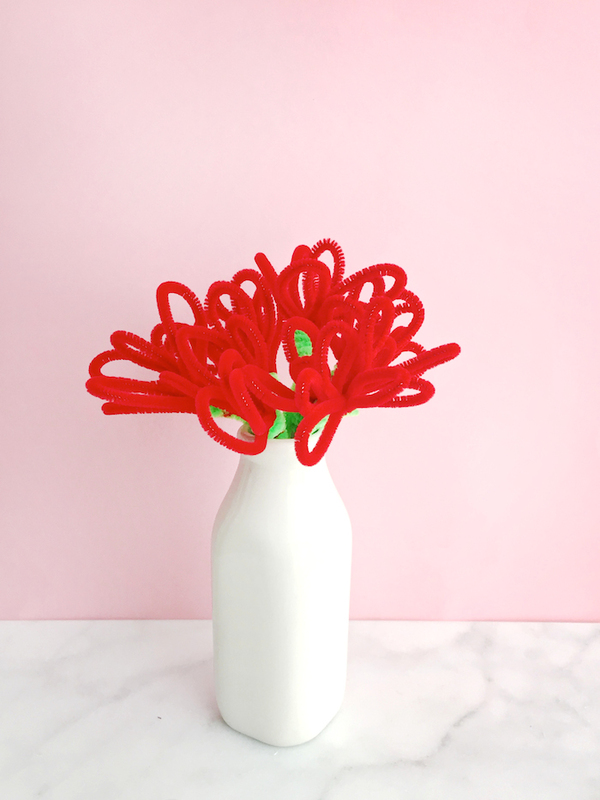 Arrange in a vase!